The new Krew hits the Web tomorrow! 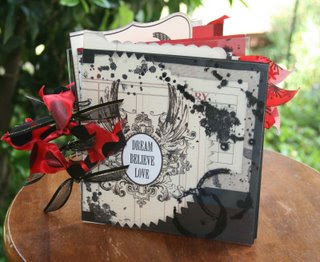 The new Kits2Remember Design Krew starts blogging tomorrow, Oct 1! Get to know Andrea, Erin, Kristie, Regina and Trace, their styles, their ideas and more by visiting the K2R Design Krew blog. Be sure to Blogroll it and check back often! These are five ladies you will want to keep an eye on! Metal make and take a huge hit at The Red Bee! Isn't this Halloween message board adorable? This was the 12 x 8 metal panel make and take at The Red Bee for the bus tourists on the Tour de Crop Spooktacular Bus Tour this weekend. Rumor has it that the project was a total hit - and the spider web transparency showed off the shiny metal to perfection. Want to make it yourself? Both The Red Bee in Tustin and Ever After in Vista carry K2R metal panels. Not in SoCal? No worries ... you can purchase it here. As we get to know our new hometown of Pensacola, were are trying to experience a little of everything. We already have some favorite restaurants, beaches and movie theaters. I drove by the local skating rink and my youth shouted out to me that I just had to go. And introducing Xan to skating was a good reason to cave in to the whiney little voice of my inner 8-year-old. 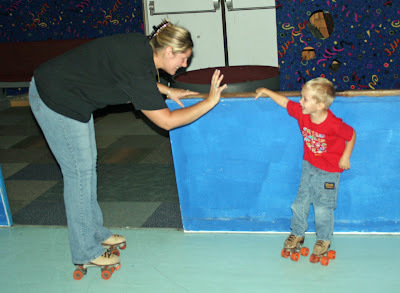 When I was in elementary school, we had Skate Nights to raise money for PTA at least once a month and I always went. I was so bummed when our local skating rink closed. 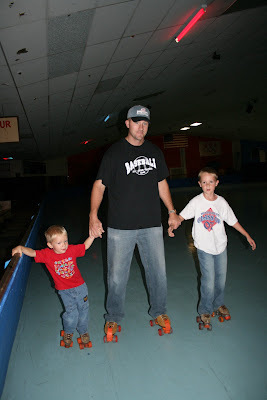 When I saw that Pensacola had a skating rink, I thought it would be a fun thing for all four of us to do. I called and it turned out that they have open skate nights on Wednesdays, as well as throughout the weekend. With Xan just starting to skate, I thought a Wednesday night might be quieter for him to get used to the idea. It cost us each $3.50 to skate for up to four hours, way cheaper than the movies! And better exercise! What a deal! We got there and noticed there weren't any cars in the parking lot, but the sign said OPEN, so in we went. Not only did we get to skate, we had the WHOLE rink to ourselves! Apparently this is their slow season, since the weather is so beautiful right now and school is in session. 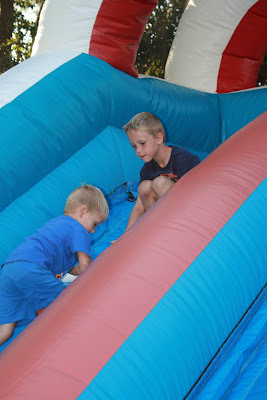 We had a great time, even Xan, who, as usual with new experiences, cried for the first 15 minutes. 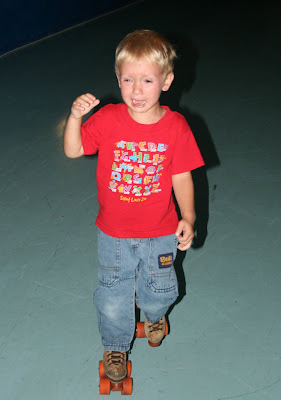 He got little skates where only the front wheels rolled, so he stepped more than skated. By the end of the session, he was having fun and requested "roll 'kates." So, we'll work on getting some rolling skates next time. Despite the earlier crying, Xan had fun playing "tag" with us and "yiked" skating. Will started playing roller hockey at 3, so he was quite at home on his skates and keeps asking "When can we go skating again?" How about next Wednesday? 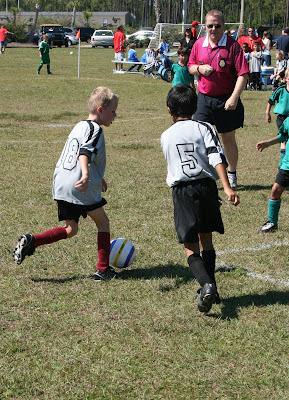 As I am sure it is with many families this time of year, Saturday is filled with soccer. Will had soccer team pictures and a game in the morning. 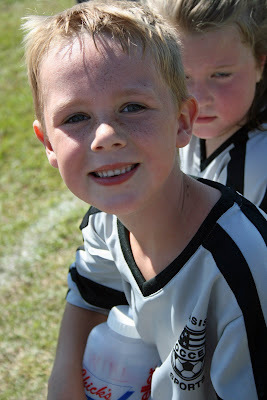 I finally got to see him score a goal. I keep missing them. Unfortunately, I did not have my camera ready, yet, since I had just gotten to the field, so no picture of it - a scrappers nightmare! The weather got hot fast and the kids were looking a little wilted by the last quarter of the game. To combat the lethargy, Will scooped some ice out of the team ice chest and but it on the back of his head. I wonder if that really works. I might have to try it. 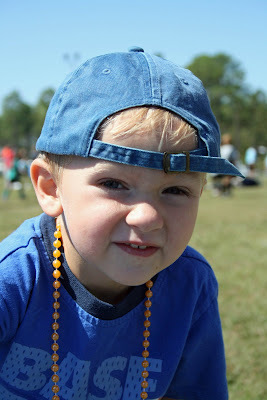 Xan was busy on the sidelines playing with his hat and beads. That is one kid who can stay busy with the cheapest of toys. The lovebugs, as they call them here, are thick right now. 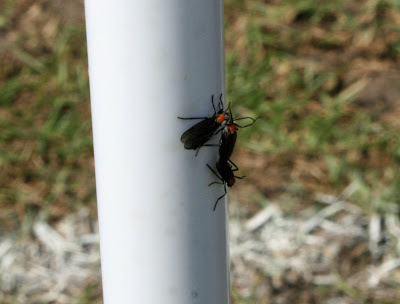 They were all over the place at the game. The good thing is that they don't bite. 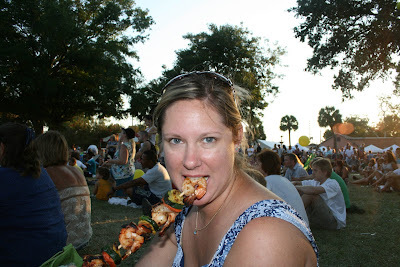 After nap time, we headed to the annual Pensacola Seafood Festival. I think nearly all of Pensacola showed up. It was crowded, but the food smelled great, the vendors were fun to shop and the live music was good. 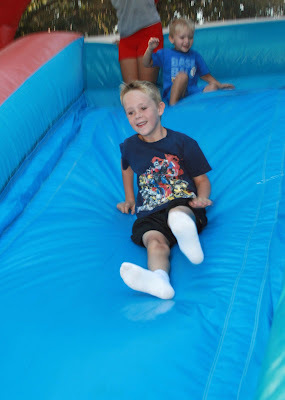 There was even a kid section where Will and Xan got to slide, throw and fish to the hearts' content. 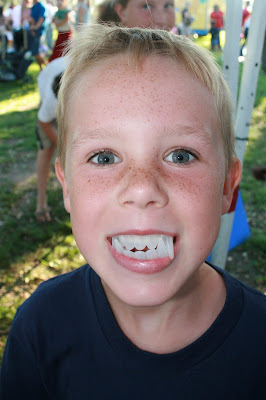 Will got these Dracula teeth at the end of his fishing line. 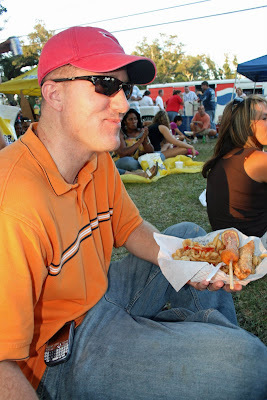 We, of course ate seafood from the vendors there. Well, at least Rodney and I did. The boys preferred corndogs. Rodney had the fried calamari basket. I went with something a little more healthy: Beef and shrimp kabobs. Very tasty. 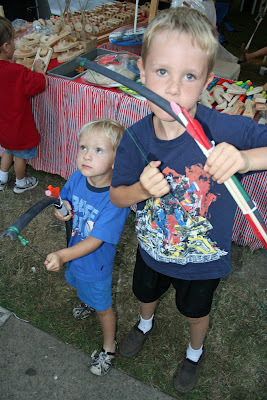 After supper, the boys found bow and arrow sets they just had to have. They will take them when they go with Daddy practice their bow hunting skills in a nearby empty lot. 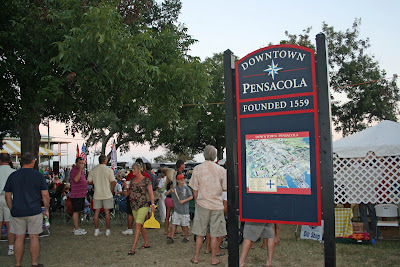 (Again, don't ask...) Next year's Seafood Festival promises to be even better since Pensacola will be celebrating its 450th anniversary of its founding. Wow! 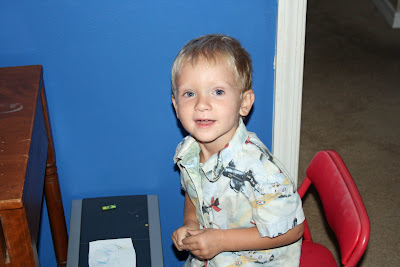 Once we got home and the boys were bathed, Will "scrapbooked" on his desk for awhile. 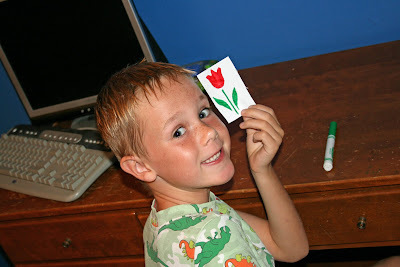 Xan made room alongside him, using Will's computer's CPU as the table. That's right: Start 'em scrapping young and keep our hobby alive for years to come! I need a few more volunteers for some big events I have coming up next month. Volunteers get free admission to the event, a K2R T-shirt (unless you've worked for K2R before) a K2R name badge, a class kit and some other goodies. You can work as much or as little as you like, minimum 2 hours. If you are interested in any of the dates below, please email me at jessica@kits2remember.com with the show you are interested in in the subject line, along with your availability on those dates, and I will give you more info. ScrapFest Long Beach: Saturday, Oct 11 at the Long Beach Convention Center. Would need help from one person from 11 a.m. to 3 p.m. FILLED - THANKS, JENN! 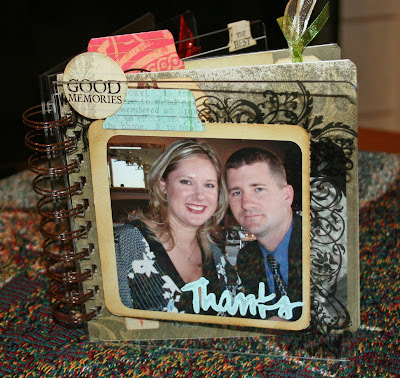 Sacramento Scrapbook Expo: Friday, Oct. 17 and Saturday Oct. 18 at the Sacramento Convention Center. Would need help from noon to 6 p.m. Friday and noon to 5 p.m. Saturday. FRIDAY FILLED! STILL NEED HELP SATURDAY! THANKS, STEPHANIE, JANET, CASEY AND GAYLE! 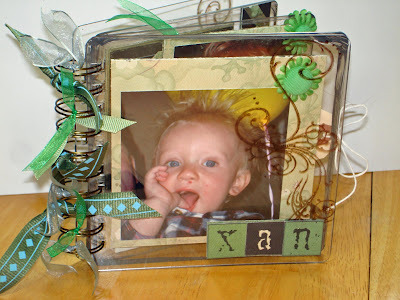 Ontario Scrapbook Expo: Friday, Oct. 24 and Saturday Oct. 25 at the Ontario Convention Center. Would need help from 11 a.m. to 6 p.m. Friday and 8:30 to 5 p.m. Saturday FILLED! THANKS JENN, JOANNA, TANYA AND CAROLYN! 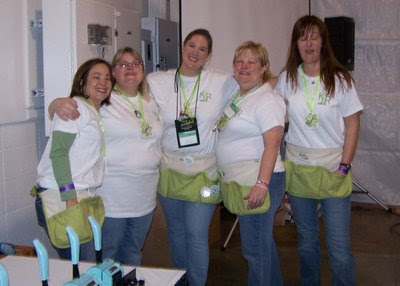 And, while I am at it, I am looking for some volunteers for December's Tampa Scrapbook Expo. I would need help Friday, Dec. 5 from 8:30 a.m. to 6 p.m. and Saturday Dec. 6 from 8:30 a.m. to 5 p.m. If you are interested, please email me with Tampa in the subject line. ... and I am sure I will forget something! First off, I have added some new kits to the store. 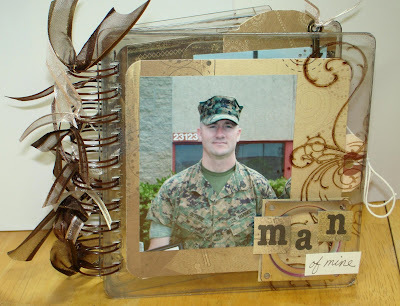 "What I am Thankful For" is a chipboard gatefold album that really has a lot of space for you to appreciate all sorts of things, or add to each year. I know Halloween isn't even a month away, but if you are anything like me, it might take you a little bit to get around to creating the album! But it should be one you can get done in a few hours. 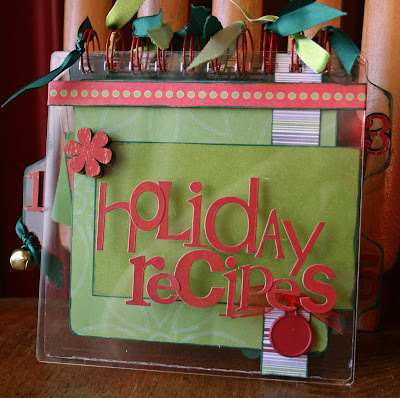 "Holiday Recipes" is a 6 x 6 acrylic album that can be a recipe book, hostess gift or album - or all three! 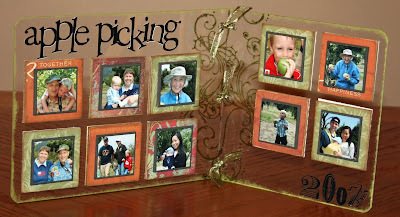 You decide by the photos, recipes or journaling you put inside. 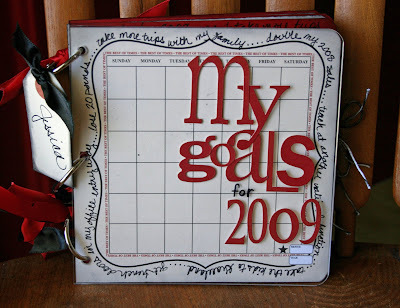 "My Goals for 2009" is one that I created for myself and have nine other kits just like it. I need to motivate myself to make some changes for next year and I figured if I have to write them down and have some of you watching over me each month to see how I am doing (completing your own album all the while! ), I might just have to stick to my somewhat-lofty goals! I have also been playing with some Bazzill Basics magnetic frames that really compliment the metal panels K2R now has. I will have them available at the Expos next month, but here is what I did with two of them. 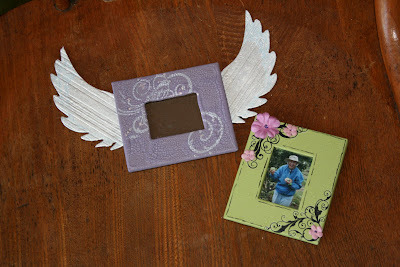 The purple one was actually a brown frame, than I added Distress Crackle Paint from Ranger, as well as Grungeboard wings coated with Pearl paint dabber. 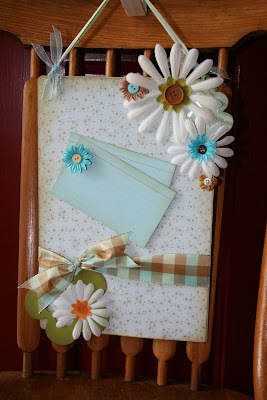 The green frame started out green, but then I added KaiserCraft rubons and Prima Marketing flowers. These frames are just too fun, whether you put them on metal panels or your fridge! 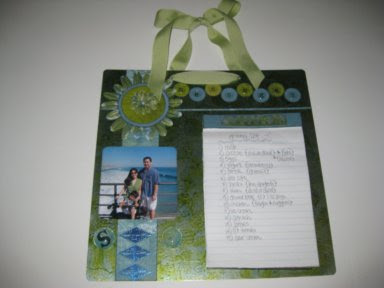 And then Shari Suzuki sent me a fab photo of a shopping list magnetic board she created with K2R metal. 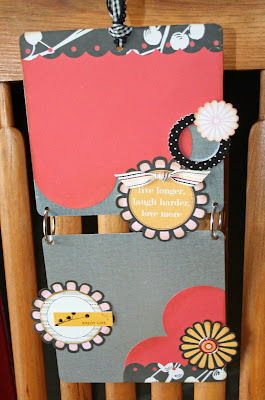 For more of her project ideas, check out her blog. Oh, and before I forget, we have three big winners! Be sure to email me at jessica@kits2remember,com with your addresses so I can mail your RAKs off to you! Now, my boys have not gotten home yet, they are off doing bow hunting target poractice with their Dad (don't ask!) so I used the web site Random.org to pick the winner. The Randomizer selected #50 for the Creative Escape Project kit... that would be Gloria L! Then it selected #6 for the Scissors game to win Krew Kit #7... that was Janet Ang! And then, last but not least, was the message board RAK winner. The randomizer selected #2, which was Jenn! Congrats to all of the winners! Not a winner this time? 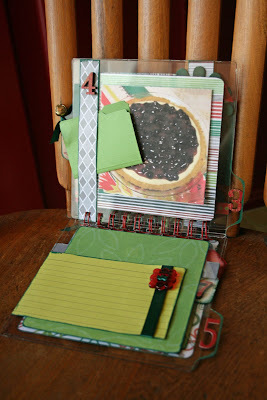 No worries... post here and enter to win the next RAK - my last Calendar Journal kit, which will be drawn next TGIF! Each year since I was in 5th or 6th grade, my family has taken the 1 1/2-hour trek from Orange County to Oak Glen, Calif., each Fall to pick apples, pumpkins and raspberries. This year, since we are in Pensacola, we'll miss the annual trip, a big bummer since my nephew, Brandon is a toddler and that is a fun age for the day-long excursion. So, to remind me of the fun we had in past years, I created this acrylic table top decor to put on my dining room table. 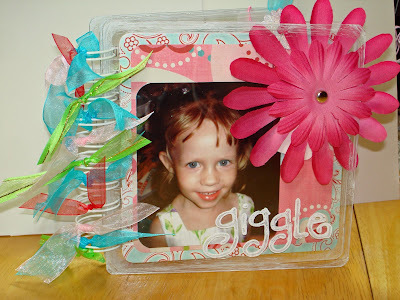 It's created from 6 x 6 and 6 x 8 acrylic panels, stamped with StazOn ink and Stickled for some eye-catching glimmer. 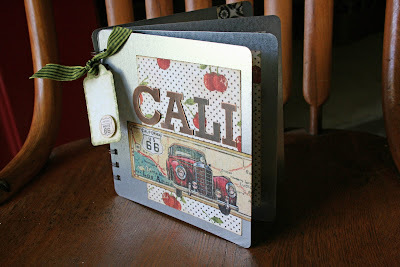 I used small chipboard squares from Bazzill Basics to add dimension to the photos. I used paper scraps from previous projects, and half-used rub-on numbers and alpha stickers. I love it when I can use my stash! But the best part: It took me only an hour to create it, from start to finish! As a reminder, the K2R sale ends tomorrow. A large selection of items are 25 percent off, plus if you use the promo code save10, you can save an additional 10 percent off your entire order. Tomorrow afternoon, once my kids get home from school, I will draw names for the CE Project RAK, message board RAK and more. Be sure to post for your chance to win! More California classes added in October! If you are in Southern California next month, there are some new class locations available! For a full list of details, visit the K2R Calendar. On Sunday Oct. 12 I will be at The Red Bee in Tustin (my sponsor store for Creative Escape, great variety of product and all-around good people); on Monday Oct. 13 I will venture farther south down to coast to Ever After Scrapbooks in Vista (come check out their new location! ); and Monday Oct. 20 I will be at The Scrappin' Table in Placentia (a great new store known for its fun atmosphere and excellent customer service). 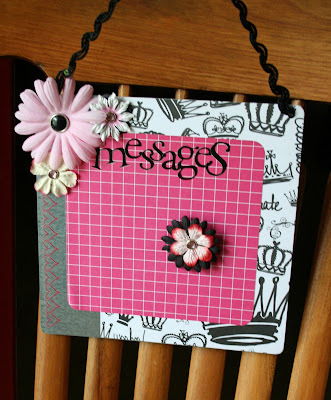 These are in addition to the classes at Scrapbooking Heaven in Westminster Oct. 21 and Scrapbook Boulevard Oct. 22. Plus, there are plenty of other events to choose from! I will be in Tennessee Oct. 3 and 4 for the Desert Scrappers Weekend Retreat. Never stopped in Tennessee (drove through Memphis on my way to Pensacola in July), so I am looking forward to checking out the Nashville area. Then I fly out to California for the Oct. 11 Long Beach ScrapFest, followed by the Sacramento Expo the next weekend and then the Ontario Expo Oct. 24 and 25. I hope to see you at one or more events! Announcing K2R's new Design Krew! And be sure to stop by the K2R Krew blog to say "see ya later" to the current Krew. It certainly won't be "good-bye," as it is a small scrap world and I am sure you will be seeing these talented ladies again! Yesterday I spent most of the day weeding my backyard. 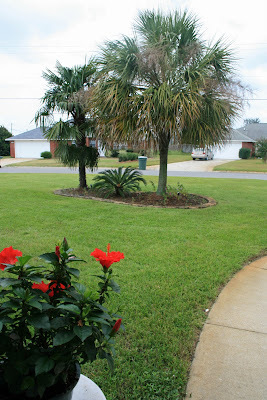 Being new to Florida, I did not have a complete understanding of summer foliage here. When I left for the San Diego Expo and Creative Escape several weeks ago, I had some nice ground cover that the previous owners had planted when they were trying to sell the house in the planter in the front yard and in some of the planters in the backyard. It was about 4 inches tall, very lush, looked nice. I came home to find my nice ground cover plants to be about 12-18 inches tall. Whoa! That is apparently not ground cover! No, I was informed by a neighbor. Those are weeds. How embarrassing! So last week I ripped all of the weeds out of the front yard and transplanted some volunteer vinca from the backyard to hopefully keep the weeds at bay. 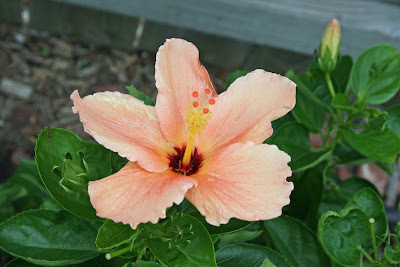 Then, yesterday, I spent the day on the backyard, ripping out weeds, dead vegetable bushes and more. 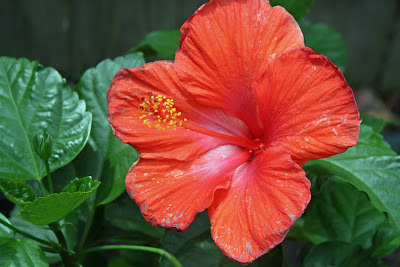 I finished up this morning by planting some hibiscus bushes, vinca and marigolds, again, with the hopes of keeping the weeds at bay. An to add some color to a very GREEN yard. I love green, but sometimes a splash of color (even pink!) is a nice touch. But it wasn't all weeding this weekend. I did go to the Scrap Pink crop at Gigi's Scrapbookin' and More in Foley, AL. It was a great time, met some great ladies and got 31 pages done... whoo-hoo! We also honored breast cancer survivors (there were actually two cropping with us that day) by releasing pink balloons with written messages on them. It was very pretty. Of course, I forgot my camera, so I will have to wait for Gigi to send me the ones she took. The crop made me want to carve out more time to work on my own scrapping stuff and I might just do that this week. I will be at the Desert Scrappers weekend retreat in Gallatin, TN, Oct. 3-5. If you live near Nashville and are looking for a great event to escape to and get some scrappin' done, this would be a great one. Laura has been organizing crops for years along the West Coast and always does a great job. I will have a booth there and I will also be teaching an acrylic album class. You can find out more about the crop by visiting the K2R calendar. Hope to see you there! 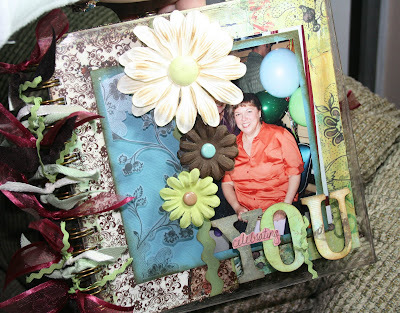 Thank you to everyone who signed up for my two classes at the Scrapbook Expo in Sacramento next month. The classes are sold out for both days already! But don't dispair, if you didn't make it in. 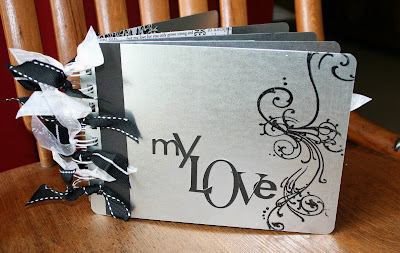 We will still have a cute 4 x 4 acrylic mini book make and take you can do at the booth. Plus I am looking for a couple of volunteers to help out at the booth and in class. If you are interested, email me (jessica@kits2remember.com) with "Sacramento Expo volunteer" in the subject line. For a complete list of upcoming classes, visit the K2R calendar. 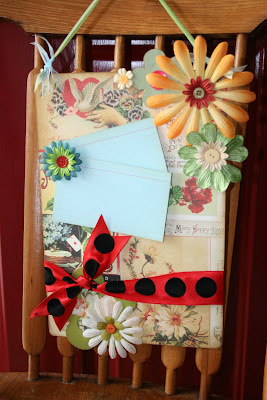 As BasicGrey's Kelly Goree said on her blog, I, too, have an extra Creative Escape project kit that followed me home. And I would LOVE to give it away to a most deserving scrapper... SO, for the next week, comment away on this post (once per person, per day, please) and I will have my sons draw the lucky post number next Friday. As for me, my weekend plans include going to Gigi's Scrapbookin' and More in Foley, Alabama (only a half hour from me) for their Scrap Pink Crop tomorrow. I have actually packed up some of my PERSONAL scrapbooking and am really going to enjoy working on my sons' and nephews' albums. Life has been such a whirlwind for me these past few months that I don't think I have touched any of their stuff since the Crops2Remember crop back in April. And, I'm sorry, but that's a PROBLEM! But for this night owl, Gigi's crops are a bit early: 7 a.m. to 7 p.m.! I am used to 10 a.m. to 10 p.m., or 10 a.m. to 10 a.m. the next day... I guess I will just have to drive by Sonic and get a Route 44 unsweet iced tea for the caffeine! I will also be announcing the new K2R Design Krew next week, so stay tuned for that! And if you haven't joined our mailing list yet, be sure to stop by the K2R Home page and do so - we sometime mail out special offers in those newsletters! If you have any specific questions about acrylic, metal and the like, be sure to swing by the K2R message board and the Krew and I will help you out! Well, I have had several scrappy friends encouraging, nudging and practically shoving me toward uploading some of the projects I create on to Etsy. I do have a few too many samples laying around my scrap room, so if someone else can make use of them, that would be better than having them collect dust here. Plus, some pocket money wouldn't be a bad thing... we ALL have to support our hobby! It looks like a number of the other Creative Escape teachers have posted pictures of their projects for the public to see, so I will do the same. This link will take you to the web page where each page of the album is laid out so attendees can see where the photos go. And, of course, feel free to contact me with any questions! I finally finished the project samples for the metal panel class I am teaching at ScrapFest in Long Beach Oct. 11. I am really excited about the projects and hope the attendees will be, too. 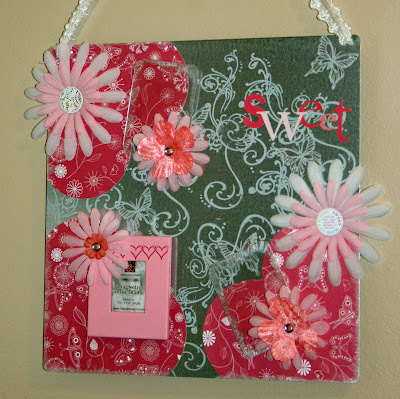 Those enrolled in the class will create two projects, a magnetic message board and a metal wire-bound album. It will be a fast-paced class, but everyone will learn a number of skills and techniques when it comes to the new metal panels. While everyone will complete the same album, called "My Love,"
there will be a choice between two message board styles. I call them 1940's Bohemian and Retro Country. They are fun and funky and give us a chance to play with the metal in different ways. These are my attempt at some basic Artist Trading Cards. I don't create them on a regular basis, but I like giving it a whirl once in a while. 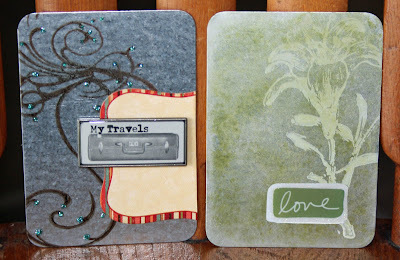 The "Travels" one features a 7Gypsies label, a Tim Holtz flourish stamped stamped on with brown StazOn ink, Glitzy stickles and the Karen Foster embellishment. The "Love" is an Auntie Amy stamp, stamped with Opaque white StazOn ink, stamped on the metal, which I coated with alcohol inks. 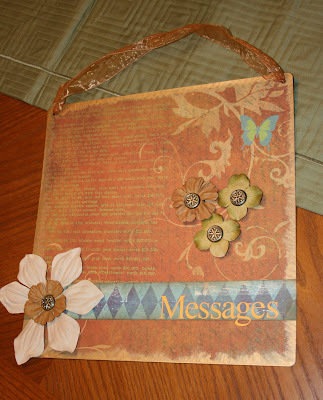 and a 12 x 12 message board with a clothespin attachment, created with Autumn Leaves diecut paper and various flowers from Bazzill Basics, Imaginisce, Making Memories and Prima Marketing. A number of you already have already purchased K2R metal - if you need some inspiration, I hope you get some from this! In between catching up on my sleep this week (that hazy feeling is gone now!) I have been working hard scheduling classes and playing with the new K2R metal. And, yes, playing can be hard work! These photos are two classes that I am teaching through the fall, a 6 x 6 acrylic album called "Thanks"
and an interactive calendar created from acrylic, chipboard and metal panels called "Today Is." While I will be teaching around California in October, I will be expanding my class "range" to include Tennesse in October and Orange Beach, Alabama, in January. Be sure to check out the K2R calendar for the full details! Metal, an RAK and SO much more... read on! I am proud to announce that Kits2Remember now has metal sheets available! These sheets can be used with magnets, Crop-a-dile, Bind-it-All, StazOn ink, alcohol inks, acrylic paint and so much more! 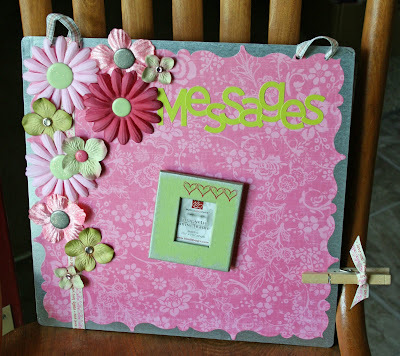 You can create your own albums, memo boards, home décor items … the list goes on! 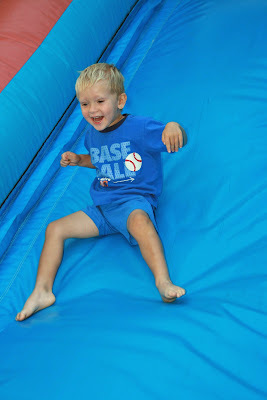 These sheets are priced individually, have smooth edges and are already corner-rounded for your safety and convenience. I am pleased to say that my metal supplier is a woman-owned business and the staff is excited to be producing goods for the paper crafting industry. The metal has also already been very well-received by crafters: I took these metal sheets to the San Diego Scrapbook Expo Aug. 28-29 and unexpectedly sold out of two of my sizes! But I am now restocked and ready to ship to you! For more information about these new metal sheets and our acrylic and chipboard products, please head to the K2R shop. Click on the shop link and click the Metal Panel link on the left. Seven different scrappy sizes are available! For ideas, check out our Project Idea page. Plus, the Design Krew is giving away a set as an RAK … hurry to their blog and comment before Friday for your chance to win! I have just returned from teaching at Creative Escape, the annual scrapbooking event sponsored by Bazzill Basics Paper and Heidi Swapp. I won the events first “Treasure Hunt for Talent” teacher search and had the pleasure of teaching more than 600 scrapbookers alongside paper crafting greats such as Heidi, Tim Holtz and Basic Grey’s Kelly Goree. It was a fun, fabulous experience … if you would like to see details, please scroll down a couple of entries. And while we are on the subject of teaching, I will be out in Southern California and Sacramento in October. I have two classes available to teach and may be at a store near you! Keep an eye on the K2R calendar as dates are announced. And, as always, thank you for your business and support. K2R recently celebrated its first anniversary and we thank you for our continued success. All customers can use the promo code “happy 10” (no quotes) for 10 percent off your order until Friday, Sept. 12. 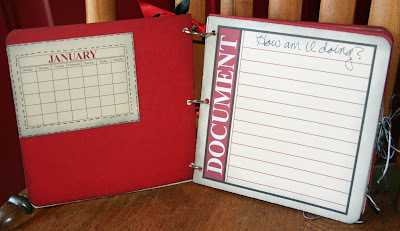 Looking for a day-long scrapbooking festival complete with cropping, shopping and classes? The Oct. 11 ScrapFest at the Long Beach Convention Center is just the event for you! Kits2Remember will be teaming up with Scrapbook Boulevard, from Victorville, CA, to exhibit a fabulous mix of hard-to-find scrap stuff! 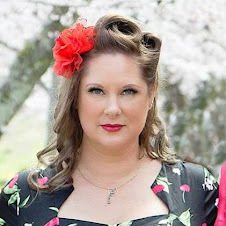 Scrapfest is being presented by Strictly Scrapbooking, and owner Sophia is known for her lavish events, great customer service and fabulous prizes and freebies! 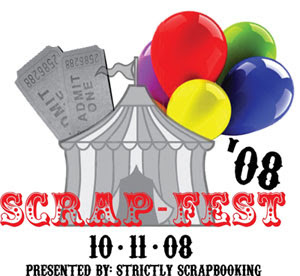 For more information about this event, please log on to the Scrapfest web site. Group rate hotel info was just emailed out, so don't miss out on being one of the last ones to scoop up one of these coveted spots! The event is Saturday, Oct. 11, from 10:30 a.m. to 10:00 p.m. and features dozens of stores and companies that have one focus in mind: scrapbooking education. Plan to learn about new products, new techniques, new skills and more. My class, in fact, included two projects that features the brand-new K2R metal: A memo board and a mini album. There are about five seats left, so sign up soon! Plus, Scrapbook Boulevard and I will have a fast, fabulous and fun metal make and take, featuring Glimmer Mist... and that's all we'll say for now! So, be sure to check ScrapFest out ... time is running out! See you there!